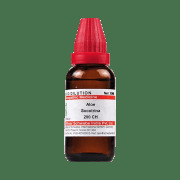 Dr Willmar Schwabe India Aloe Socotrina Dilution is an effective homeopathic remedy which is primarily used as an energy booster to relieve fatigue and exhaustion. It is especially useful for aged people and for those who excessively indulge in intoxicants and can also be used to treat severe conditions of headache. It is indicated in the treatment of intestinal and uterine infections. Take 3-5 drops of dilution in half cup of water three times a day or as directed by the physician. 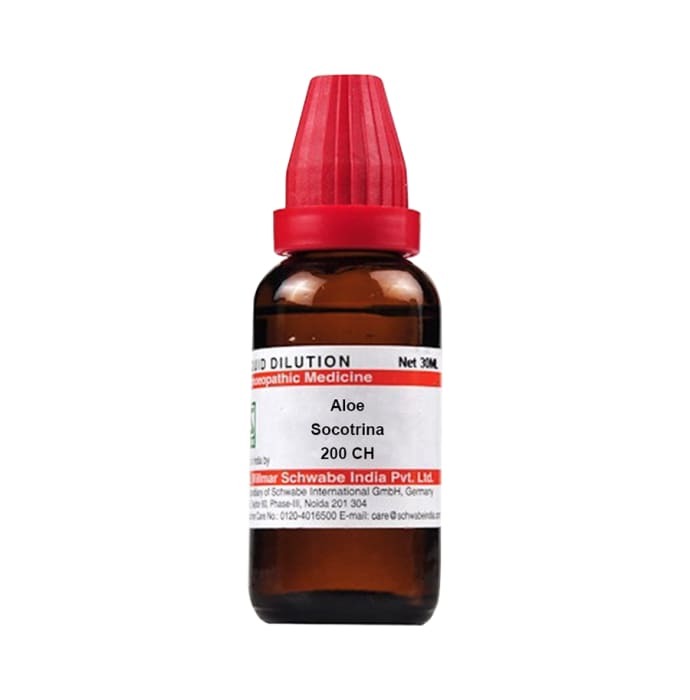 A licensed pharmacy from your nearest location will deliver Dr Willmar Schwabe India Aloe Socotrina Dilution 200 CH. Once the pharmacy accepts your order, the details of the pharmacy will be shared with you. Acceptance of your order is based on the validity of your prescription and the availability of this medicine.